How much time will the custom tunes take to build? Custom Tunes are completed in order they are received. Typical turnaround time is approx. 3 business days, but times may vary. Truck pulls hard and feels "lighter"
Better fuel economy (When driven conservatively) + 1-2 mpg avg. Shift Points optimized. Focused on Towing, keeps the truck in the needed gear for pulling power and climbing hills. Increased engine braking while descending to reduce wear on brake components. *If the tune is "over-driven" then there is a chance of extra fuel consumption. Race is the firmest, fastest shifting tune option available. Torque Reduction is almost fully disabled to allow a very quick and affirmative shift. Shift Points are much later than stock, holding the gears longer and preventing upshifts at low speeds/rpm. In stock form, most all driving is in 6th gear, on our Race tune, all gears are used to their proper range. Our Race option has been described as driving a manual transmission. The truck is alawys in the right gear and avoids unnessary up-shifts and down-shifts. Very strong low end acceleration and high rpm pulling horse power. 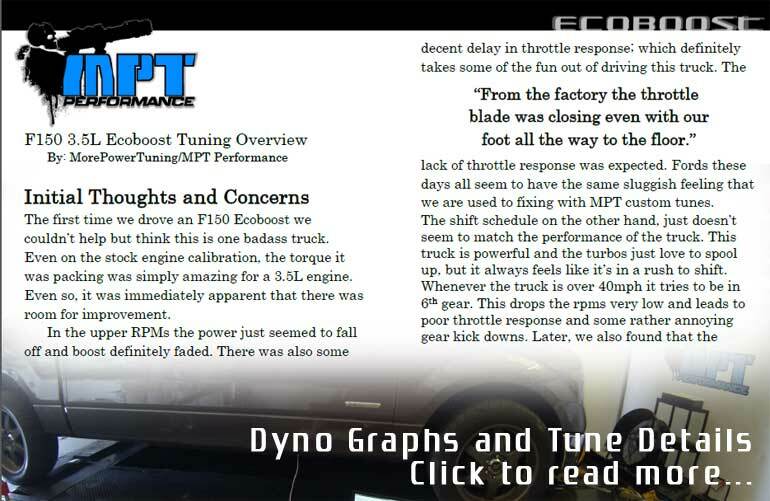 The most aggressive throttle response out of all of our tune choices. Race option is not available on Towing or Economy tunes. Special Performance Race Feature: Clicking the tow-haul button switches into a performance/economy profile allowing shifts sooner and improving economy. **Race option is not available on Towing or Economy Tunes. Torque Reduction reduced to allow a fuller feeling shift with less delay between the gears. Street option increases shift firmness approximately 40% over stock. Part Throttle and WOT shifts are both improved. Likely chirping the tires on the 1-2 shift. Shift Points are later than stock, holding the gears longer and preventing upshifts at low speeds/rpm. In stock form, most all driving is in 6th gear, on our Street tune, all gears are used to their proper range. Our Street option has been described as driving a manual transmission. The truck is always in the right gear and avoids unecessary up-shifts and down-shifts. Strong low end acceleration and high rpm pulling horse power. Special Performance Street Feature: Clicking the tow-haul button switches into a performance/economy profile allowing shifts sooner and improving economy. **Towing and Economy tunes with the Street Trans will have the torque reduction and additional firmness listed. Shift schedules for both of these tunes will be specific to the tune category. Torque Reduction is slightly reduced for less delay between the gears. Chill option increases shift firmness approximately 10% over stock. 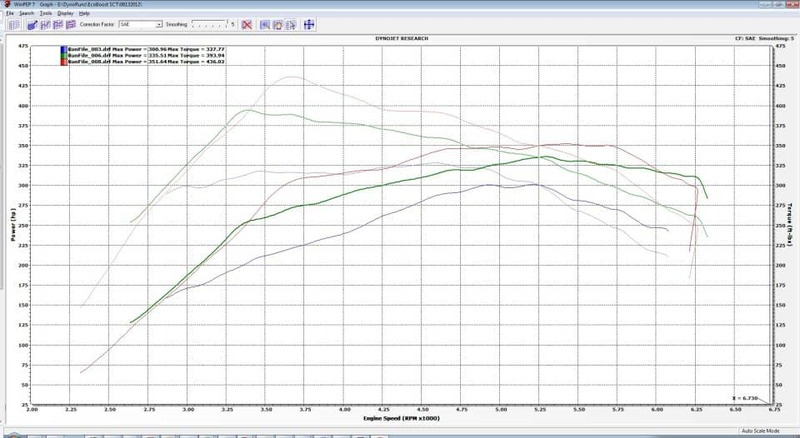 Part Throttle and WOT shifts are slightly firmer than stock. Shift Points are slightly later than stock. **Towing and Economy tunes with the Chill Trans will have the torque reduction and additional firmness listed. Shift schedules for both of these tunes will be specific to the tune category. Stock option will have the tune type aspect but retains factory set shift points, shift firmness and torque reduction. Most customers are looking for the qualities for the Race, Street or Chill trans setting, but there are some that really enjoy the stock feel of the truck. If you like how soft and unnoticeable the shifts are then Stock is the trans for you. Octane: Gas vehicle tunes are heavily impacted by the octane of fuel being used. Running a higher octane allows us to advance the spark more which results in better performance. That being said, you should pick tunes for the octane you plan on running. If you always have and always will run 87 octane, then that is what you should choose. However, you can run a tune for 87 octane and fill the tank with 93, however you cannot run a tune for 93 octane and fill up with 87. 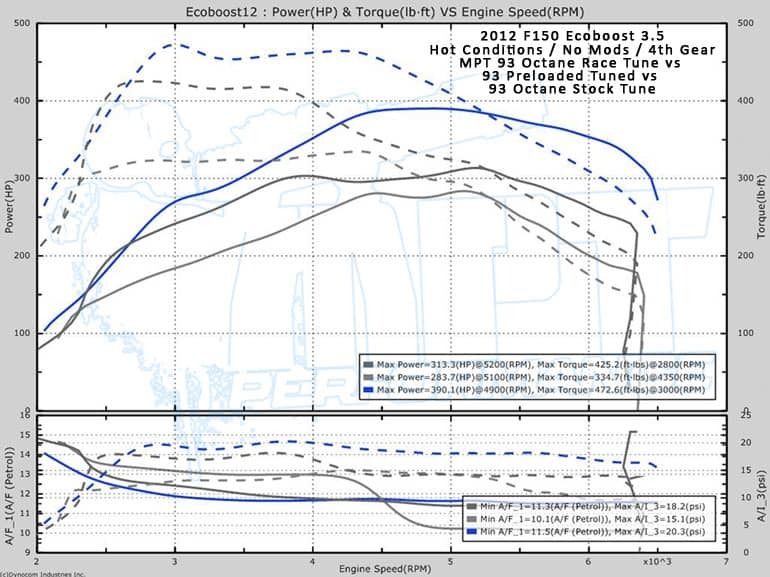 Doing so will result in increased knock activity, a loss of power output and in rare cases, possible engine damage. 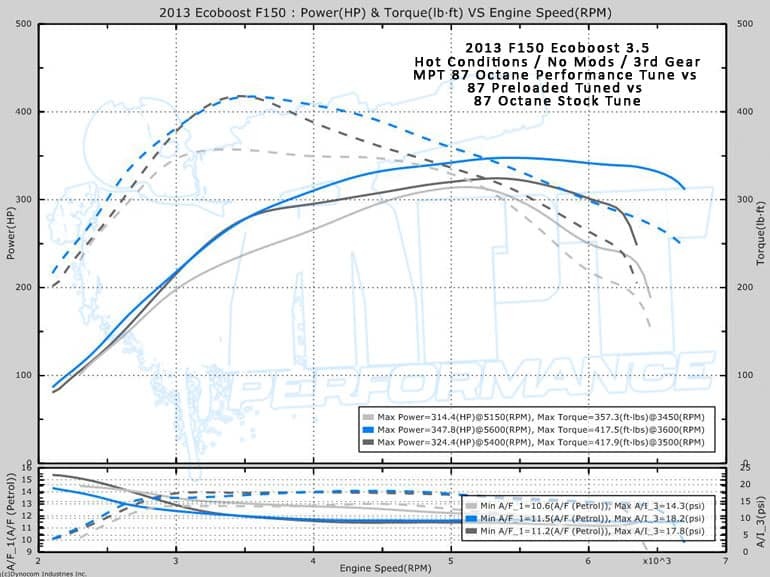 Not too much room for more torque on 87 octane, any increase in boost over preloaded and it was knocking too much or wouldn't cary the power as well. 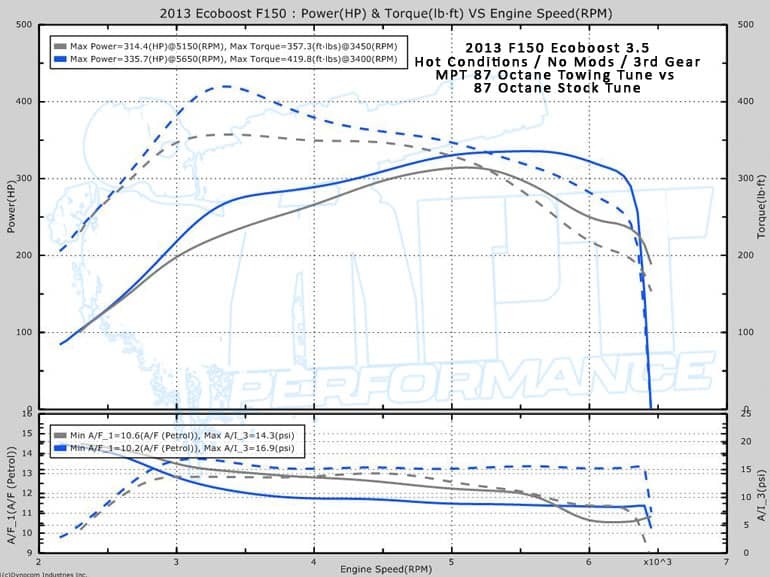 The tow tune keeps boost lower than the performance tune to keep it safe for towing heavy loads.